Unfortunately, the AlcoScan AL5000 Breathalyzer is no longer available. You can explore other items in the Breathalyzer category yourself to try and find the perfect replacement for you! 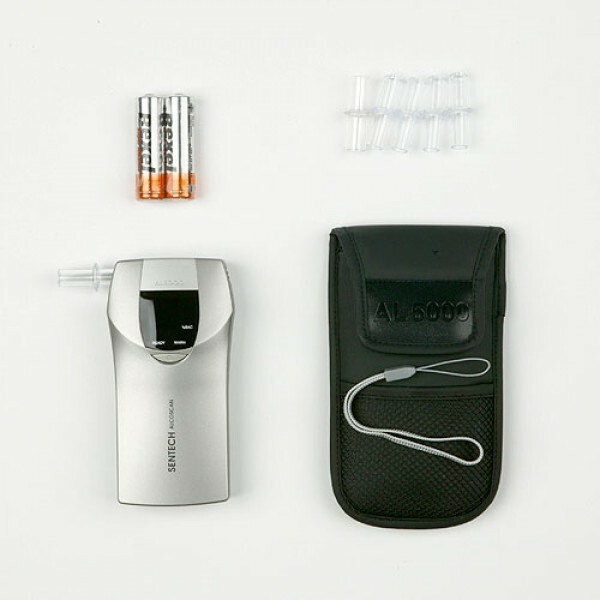 The AlcoScan AL5000 digital personal alcohol breath analyzer is approved by the US DOT and an alcohol screening device for personal use. The AlcoScan AL5000 breathalyzer employs semiconductor gas sensor. 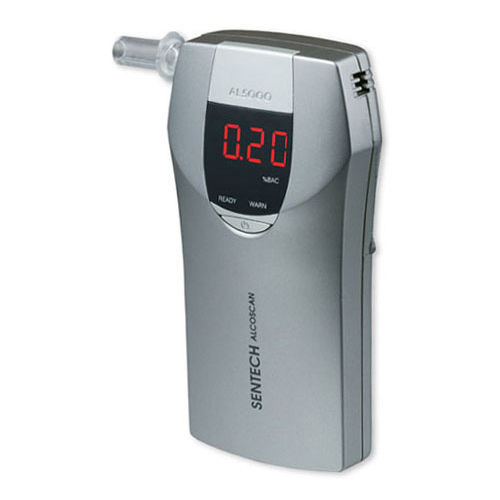 The AL5000 measures subject breath alcohol content within a range of 0.00% to 0.40% BAC, in .01% step increments. The AlcoScan AL5000 delivers .01% or 10% accuracy at 0.10% BAC. The AlcoScan AL5000 was discontinued in 2008 and is no longer supported by ASD. The AlcoScan AL5000 has been replaced by the more enhanced AlcoMate Prestige AL6000. The AlcoScan AL5000 features extended mouthpieces. Our mouthpieces are individually packaged for use and in compliance to FDA rules and regulations where disease control is of most importance. The extended feature prevents the subject lips from touching the tester body. What is the difference between the AlcoMate Prestige and AlcoScan AL5000 model? The AlcoMate Prestige is the 2nd generation version of the AlcoScan AL5000. The AlcoMate Prestige has the ability to change the sensor yourself, while the AL5000 must be sent in for calibration. The Prestige also comes in a Red or Silver color choice, while the AL5000 comes only in a silver finish. Under ideal testing conditions, the AlcoScan AL5000 should perform roughly 300 tests before needing a sensor replacement. Continuous testing with higher amounts of alcohol may potentially wear out the sensor faster. The device is attempting to display the characters for "bat" which is the low battery indicator. Simple replace the batteries with a brand name battery and you device will perform the full test. The AlcoScan AL5000 like any other breathalyzer will experience a degradation of sensor accuracy over time. For any questions, please contact us at 1-818-701-9200.